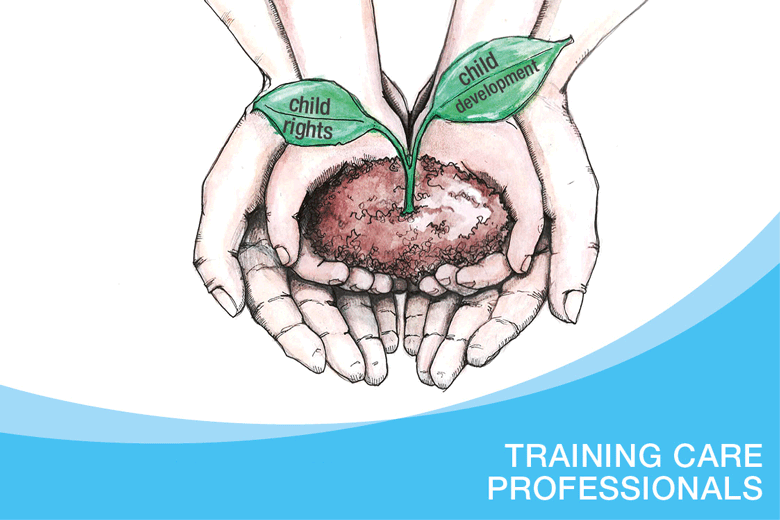 'Training Professionals Working with Children in Care' is a two-year partnership (2015-2016) between SOS Children’s Villages International, the Council of Europe, Eurochild and partners in Bulgaria, Croatia, Estonia, France, Italy, Latvia, Hungary and Romania. The project aims to improve the living conditions and life prospects of children and young people living in alternative care, by providing care professionals with continued training in how to apply a child rights-based approach to their work with children. These trainings build on Securing Children’s Rights and Discover Your Rights, two guides developed by SOS Children’s Villages International and the Council of Europe. Securing Children’s Rights is written for care professionals, while Discover Your Rights is written for children and young people in care. SOS Children’s Villages works on a continuing basis with key national and European stakeholders to ensure that care professionals gain better understandings of how to apply child rights awareness to their work. What is a child rights-based approach to alternative care? When care professionals take care of children in a way that demonstrates respect for the children, and which actively contributes to fulfilling all their rights as children, then they are applying a child rights-based approach to their work. Children’s rights apply to every person under the age of 18 and are defined in the UN Convention on the Rights of the Child (UNCRC), which recognises that children are more vulnerable than adults and therefore deserve special protections and care. The handbook, Realising Children’s Rights: A training manual for care professionals working with children in alternative care, is finalised in November 2015 based on experience and best practices from different European countries. An international ‘training of trainers’ workshop for two trainers from each country is conducted by a team of international experts, 15-18 November 2015. National trainings are held for 842 care professionals from various care-providing organisations. Training evaluations show clear improvements in participants’ perceived knowledge and attitudes about children’s rights in alternative care. Participants’ reviews and concrete examples show that the trainings are helpful for their daily practice with children in alternative care. 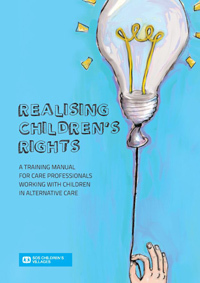 Realising Children’s Rights: A Training Manual for Care Professionals Working with Children in Care is made available to care professionals and the public in connection with the International Alternative Care Conference in Geneva, 3-5 October 2016. In France and Italy, a group of young people was part of organising and conducting the trainings of care professionals at national level. These youth modules are available in English here: Italian Youth Module, French Youth Module. The closing conference, Children’s Rights in Alternative Care: Walk the Talk, in Paris, 8-9 November 2016, addresses how to build the capacity of the child care service workforce, and how professionals working directly or indirectly with children in alternative care can be supported in applying a child rights approach to their daily practice with children and young people. 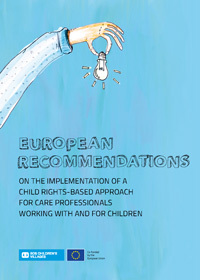 At Children’s Rights in Alternative Care: Walk the Talk, 8-9 November 2016, a publication of European policy recommendations, as well as national recommendations from the eight implementing countries, are released. This handbook for care professionals draws on best practice from a range of European countries, and was tested in international trainings with hundreds of care professionals. Download other languages. Read also the Tips and Tricks. These recommendations highlight steps needed to develop a child care service workforce capable of applying a child rights-based approach to their work. Publications for professionals working in the field of alternative care. Learn about how we work to ensure the rights of young people in alternative care. The initial phase, 2015-2016, of this project was supported by the European Union.